Readings: Isaiah 49: 1-7; Psalm 40: 1-12 (recte Psalm 40: 1-11); I Corinthians 1: 1-9; John 1: 29-42. How long does the Season of Christmas last for? In your house, have you taken down the decorations, the cards, the tree? Is the crib long gone? Or are the three wise men still there … and for how long? How long does Epiphany last for? ● Changing water into wine at the Wedding in Cana (John 2: 1-12). Saint John’s Gospel has no story of the first Christmas, no child in the crib, and no Visit of the Magi. 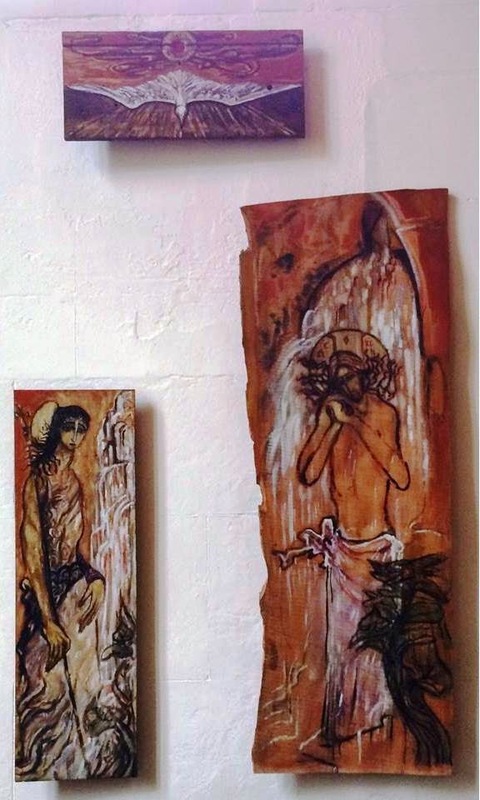 Instead, in the Fourth Gospel Jesus first walks onto the stage, like the principal character in a Greek drama, as Saint John the Baptist is baptising in the River Jordan and talking about what is to be. And, in good dramatic style, letting us know what to expect as the drama unfolds on this stage, John the Baptist uses three ways to describe Christ this morning. ● ‘The Son of God’ (verse 34). There is a Gnostic tendency in a particular strain of Christianity that limits Christ to personal knowledge, personal sin and personal salvation. But this Gospel has none of these limitations or inhibitions. 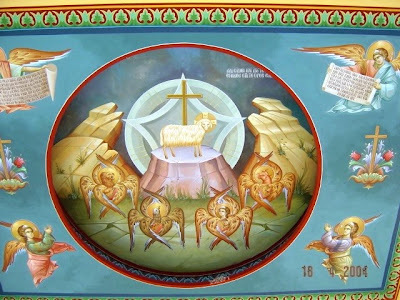 The Lamb of God is taking away not just my sins, not just our sins, not just the sins of Christians, not just the sins of many, or the sins of those we judge as transgressors – not even the sin of the world, but the sin of the κόσμος (cosmos), the whole created order. The word used here is not sins but the singular sin of the cosmos: ἁμαρτίαν τοῦ κόσμου. We are living in very tense and precarious times in the world, a world that is seeing the triumph of fear over trust, hate over love, racism over tolerance, xenophobia over diversity, misogyny and sexism over equality, and lies over truth. This is the cosmos, and in the midst of our fears, uncertainty and insecurity, Christ walks onto this stage this morning, to confront and to take away the sin of, the denial of, the threat to, the destruction of, God’s good created order, the cosmos. Today’s Gospel reading is a reminder in the middle of the Epiphany season that Christ has come, not just as a cuddly baby in the Christmas crib, not just to give me personal comfort, not just to give me a personal revelation, but to confront the whole created order, and to reconcile the whole created order to God’s plan. This morning’s Gospel story also links the arrival of Christ on the stage, in the cosmos, with the call of the Disciples, links seeing and believing, being and doing, baptism and discipleship. So who do the disciples say Christ is? Who is Christ for visitors to this Cathedral? 1, Firstly, I notice, time and again, that the first meeting with Christ, the first confrontation with Christ for many visitors to this cathedral, is the statue of the ‘Homeless Christ’ by the Canadian sculptor Timothy Schmalz, just inside the main gates. There are probably as many views here this morning about the stand-off at Apollo House as there are people here. But whatever you think about the occupiers, the activists, the courts or the Government, the shame is not in any of the actions or decisions by these different groups, but in the very fact that there is a housing crisis in this city today, that anybody should be homeless in the capital city of one of the most thriving economies in Europe. And when Apollo House fades from our memories, the problem of homeless people living in our doorways on our streets is going to continue. ● that even in death Christ is buried in the tomb of someone else (Matthew 27: 57-60; Mark 15: 42-46; Luke 23: 50-55; John 19: 40-42). This statue is a fresh challenge, a new challenge, for the Homeless Jesus is also the Risen Christ, still bearing the marks of his Crucifixion. He is a living challenge to us today. 2, The second meeting with Christ for visitors to this Cathedral should be the welcome given and received here. Saint Paul tells us to ‘welcome one another … as Christ has welcomed you’ (Romans 15: 7). And the Rule of Saint Benedict advises: ‘All who arrive as guests are to be welcomed like Christ, for he is going to say, I was a stranger and you welcomed me’ (Rule of Saint Benedict 53: 1). When we share the peace in a few moments’ time, share that peace with someone you do not know, enjoy the moment of giving and receiving hospitality, of meeting Christ in one another. 3, The third meeting with Christ is Christ present in the Word. This morning, the Word of God should challenge me and challenge you. In this morning’s Gospel, Jesus asks Andrew and Simon Peter: ‘What are you looking for?’ (verse 38). And in that meeting, they are invited on a journey, on a pilgrimage, on a quest to make the Kingdom of God challenge the ways of the kingdoms of the world. We are challenged not just to meet Christ, but to walk with him, to journey with him, to be disciples. 4, The fourth meeting with Christ is Christ present in the Sacrament. ‘This is my Body … this is my blood.’ We are the Body of Christ. As we are going to affirm here later this morning, ‘We being many are one body, for we all share in the one bread’ (Book of Common Prayer, p. 218) – we are the Body of Christ sharing the Body of Christ. This sacrament is not for the few, for the holy or for the pious. This is ‘for you and for many …’ (Book of Common Prayer, pp 210, 215, 217). The many, hoi polloi (οἱ πολλοί), are the many, the masses, those ‘out there.’ The phrase is first used around 431 BC by Pericles is his ‘Funeral Oration,’ according to Thucydides in his History of the Peloponnesian War (2.34-2.46). Pericles contrasts the few, οἱ ὀλίγοι (hoi oligoi), ‘the few’ in Athens who want to be the oligarchy, with ‘the many’ they would exclude but who are ‘the many’ who are supposed to benefit from democracy and the positive structures of society. Christ forms no exclusive club, no elite no oligarchy. He is here on the margins, in the welcome, in Word and in Sacrament, for us and for the many. Indeed, in Christ there is no us and them, there is only us. 5, The fifth meeting with Christ morning in this cathedral is when we go out into the world, out among the many, among the homeless, among those who become and are made the victims of oligarchies. To see Christ, to meet Christ, is to follow Christ and to be sent out into the world by him. In Christ there is no wall or barrier, there is no place for racism and hatred, no time for misogyny and discrimination, no brief for power-lust and war-mongering. Behold the Lamb of God. He takes away, from us and from the many, the sin of the cosmos. He transforms the poverty of our nature, and with the riches of his grace he nourishes us with the bread of heaven and fills us with the Spirit so that the light of his glory may shine in all the world … not for me in my small corner and you in yours, but in the whole cosmos. 29 Τῇ ἐπαύριον βλέπει τὸν Ἰησοῦν ἐρχόμενον πρὸς αὐτόν, καὶ λέγει, Ἴδε ὁ ἀμνὸς τοῦ θεοῦ ὁ αἴρων τὴν ἁμαρτίαν τοῦ κόσμου. 30 οὗτός ἐστιν ὑπὲρ οὗ ἐγὼ εἶπον, Ὀπίσω μου ἔρχεται ἀνὴρ ὃς ἔμπροσθέν μου γέγονεν, ὅτι πρῶτός μου ἦν. 31 κἀγὼ οὐκ ᾔδειν αὐτόν, ἀλλ' ἵνα φανερωθῇ τῷ Ἰσραὴλ διὰ τοῦτο ἦλθον ἐγὼ ἐν ὕδατι βαπτίζων. 32 Καὶ ἐμαρτύρησεν Ἰωάννης λέγων ὅτι Τεθέαμαι τὸ πνεῦμα καταβαῖνον ὡς περιστερὰν ἐξ οὐρανοῦ, καὶ ἔμεινεν ἐπ' αὐτόν. 33 κἀγὼ οὐκ ᾔδειν αὐτόν, ἀλλ' ὁ πέμψας με βαπτίζειν ἐν ὕδατι ἐκεῖνός μοι εἶπεν, Ἐφ' ὃν ἂν ἴδῃς τὸ πνεῦμα καταβαῖνον καὶ μένον ἐπ' αὐτόν, οὗτός ἐστιν ὁ βαπτίζων ἐν πνεύματι ἁγίῳ. 34 κἀγὼ ἑώρακα, καὶ μεμαρτύρηκα ὅτι οὗτός ἐστιν ὁ υἱὸς τοῦ θεοῦ. 35 Τῇ ἐπαύριον πάλιν εἱστήκει ὁ Ἰωάννης καὶ ἐκ τῶν μαθητῶν αὐτοῦ δύο, 36 καὶ ἐμβλέψας τῷ Ἰησοῦ περιπατοῦντι λέγει, Ἴδε ὁ ἀμνὸς τοῦ θεοῦ. 37 καὶ ἤκουσαν οἱ δύο μαθηταὶ αὐτοῦ λαλοῦντος καὶ ἠκολούθησαν τῷ Ἰησοῦ. 38 στραφεὶς δὲ ὁ Ἰησοῦς καὶ θεασάμενος αὐτοὺς ἀκολουθοῦντας λέγει αὐτοῖς, Τί ζητεῖτε; οἱ δὲ εἶπαν αὐτῷ, Ῥαββί (ὃ λέγεται μεθερμηνευόμενον Διδάσκαλε), ποῦ μένεις; 39 λέγει αὐτοῖς, Ἔρχεσθε καὶ ὄψεσθε. ἦλθαν οὖν καὶ εἶδαν ποῦ μένει, καὶ παρ' αὐτῷ ἔμειναν τὴν ἡμέραν ἐκείνην: ὥρα ἦν ὡς δεκάτη. 40 Ην Ἀνδρέας ὁ ἀδελφὸς Σίμωνος Πέτρου εἷς ἐκ τῶν δύο τῶν ἀκουσάντων παρὰ Ἰωάννου καὶ ἀκολουθησάντων αὐτῷ: 41 εὑρίσκει οὗτος πρῶτον τὸν ἀδελφὸν τὸν ἴδιον Σίμωνα καὶ λέγει αὐτῷ, Εὑρήκαμεν τὸν Μεσσίαν (ὅ ἐστιν μεθερμηνευόμενον Χριστός): 42 ἤγαγεν αὐτὸν πρὸς τὸν Ἰησοῦν. ἐμβλέψας αὐτῷ ὁ Ἰησοῦς εἶπεν, Σὺ εἶ Σίμων ὁ υἱὸς Ἰωάννου: σὺ κληθήσῃ Κηφᾶς (ὃ ἑρμηνεύεται Πέτρος). (Revd Canon Professor) Patrick Comerford is Lecturer in Anglicanism, Liturgy and Church History, the Church of Ireland Theological Institute. This sermon was preached in Christ Church Cathedral, Dublin, at the Cathedral Eucharist on 15 January 2017.